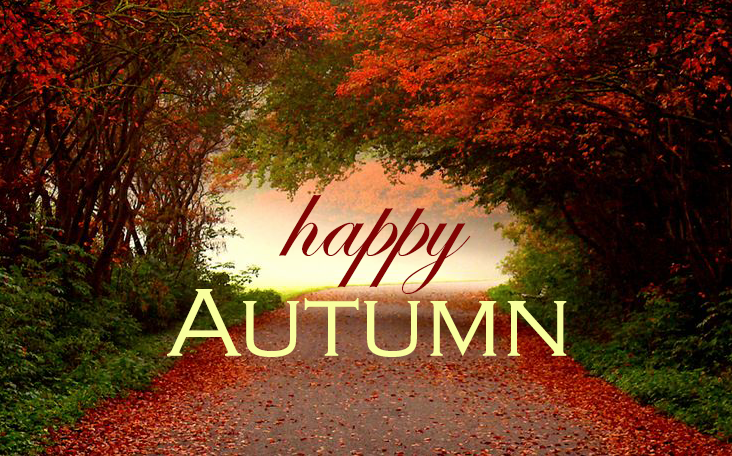 ONE WEEK until the official start of Autumn! Fall-elujah!! Let the countdown begin! I've been excited for this day since July; what can I say, I am smitten with fall. I believe it's the most beautiful time of year, not to mention the coziest. I embrace everything fall, it's ingrained deep into my bones. I live for this season and all its attributes. My home has been decorated since the first of September, and the fall candles have been burning since mid-August. Fall foods and desserts are starting to appear in my kitchen and on my meal lists. And pumpkins are nestled by my front door. Truly, there's nothing I don't adore abut Autumn. So in preparation for the official start, I wanted to recap all things Autumn that have been going on at Hill Collection so you too can get Fall Ready! My home is first and foremost the beginning of my summer-to-fall transition. My home décor becomes an autumn wonderland. And I love it. Since my first post I've added some additional fall features. Maybe I will get around to sharing those! My seasonal décor is all about simplicity too. Little, subtle home decorating ideas for fall are fall printables that you can slip into an existing frame. I am all about simple sprucing that really cozies up a space! Wreaths are so crucial, at least I firmly believe so. You can't leave a door just hanging (see what I did there?). Doors need decoration too! Not only does the inside of my house get a fresh dose of fall, but so does the exterior. I need to spread the fall joy with all my neighbors too :) The best way to do that is with pumpkins and hay bales! Because we love pumpkins so much, we started making rustic variations of them for our Etsy Shop! The next thing to undergo a fall transformation is my wardrobe! This might be my favorite part. I love walking around looking like fall. I know if you are as crazy about this season as I am, you totally understand what I'm saying. Lastly, but not least, my kitchen turns into a fall making machine. All the meals that get prepared there are somehow fall themed, whether it be a hot corn chowder for chilly evenings or an apple crisp crumble to share by the fire with friends. My kitchen embraces fall just like I do. Check out my food blog, Flour Darling, to keep up with all the Autumn foods I'll be making this year! If you weren't excited for fall, maybe you are now! 7 days to go, my friends!! p.s. Use #fallready when you post a fall-inspired Instagram; I'd love to see what you're doing fall-like in your day to day life! You can see what I'm doing on my Instagram too!